New York – Macy’s Inc.’s fourth-quarter profit increased 11%, but the chain’s sales missed forecasts as ongoing winter storms caused a sales slump in January. The company also announced plans for new Macy’s stores in Sarasota, Fla.; Las Vegas; and The Bronx, N.Y., in fiscal 2014. A new Bloomingdale’s will open in Palo Alto, Calif., to replace an older store in the same shopping center. Macy’s reported net income of $811 million during the fourth quarter, up 5% from $730 million in the same period a year earlier. Sales dropped 1.6% to $9.2 billion from $9.35 billion. Analysts had expected a more modest decline to about $9.28 billion. Same-store sales grew 1.4% for the quarter, less than the 2.5% projected by Wall Street. During the full fiscal year, net income rose 19% to about $1.45 billion. Net sales totaled $27.93 million, up 0.9% from $27.69 million. Same-store sales increased 1.9%. Although same-store sales in November and December 2013 rose 3.6% due to strong holiday performance, a worse-than-expected post-holiday slump in January 2014 led to Macy’s net sales loss for the quarter. Macy’s said severe weather resulted in 244 Macy’s and Bloomingdale’s stores across the country being shut at some point during the month. Macy’s credited part of its net income growth to its ability to place more of the 2,500 employees who were laid off in January 2014 into new jobs than it had expected. 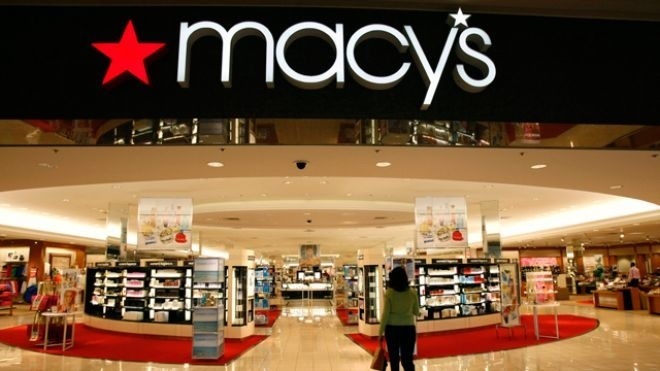 In addition, Macy’s said its core business strategies, My Macy’s localization, Omni-channel integration and Magic Selling, which are known by the acronym of M.O.M, helped drive profitability and will continue to do so in the future. The company is reiterating its annual sales and earning guidance, initially provided on January 8, 2014. Same-store sales growth in fiscal 2014 is expected in the range of 2.5-3%. Earnings of $4.40 to $4.50 per share are expected in 2014. Posted on February 25, 2014, in #international, #luxury, #retail. Bookmark the permalink. Leave a comment.